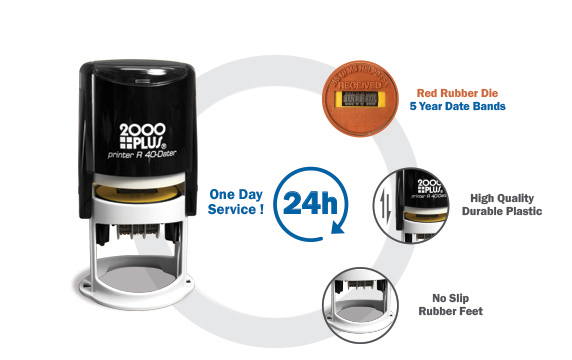 The Cosco 2000 Plus premium line of self-inking daters are precisely engineered for reliability and durability. 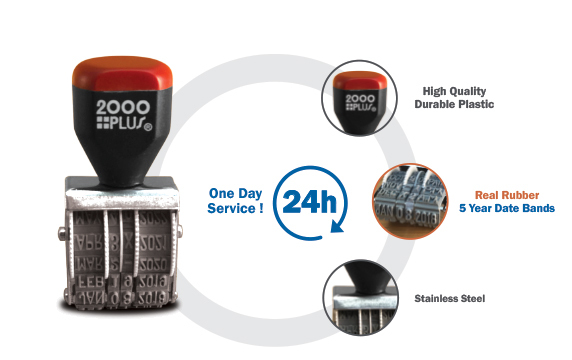 The date bands are deeply molded to provide a sharp impression. 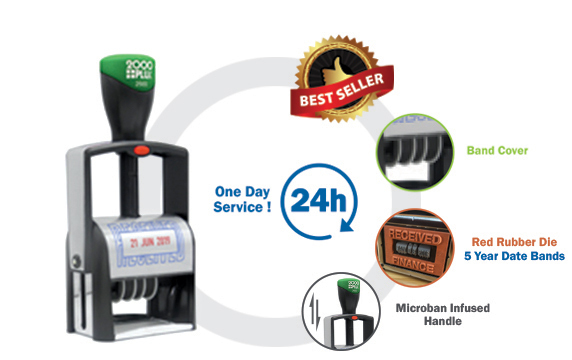 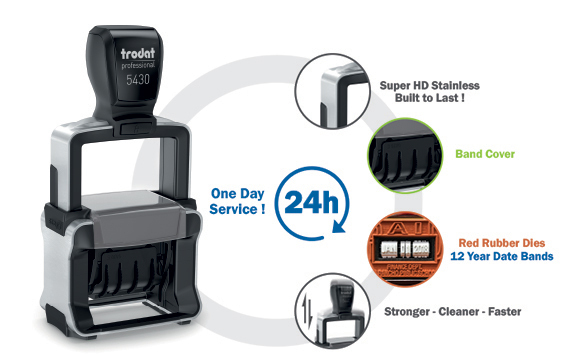 Prices include custom die on all self-inking units.